Bernard Arnault’s, born as Bernard Jean Étienne Arnault, on 5 March 1949, is a life and business acumen, a standing example to the story of taking risks and turning the tables around. He was born into a family with means. His father owned a construction business. He went on to change the business area from construction to real estate; and as he took over more luxury brands, he turned around their failing fortunes to a success story, making him a billionaire in the process. Today, Bernard owns 43.5% shares and majority voting rights in the LVMH Group and works as Chairman and CEO of the group. He has taken the luxury business conglomerate to new heights and success. He is also a well known art collector. His company today owns and operates Moet Champagne, Dom Perignon champagne, Cognac Hennessy, Tag Heuer, Bvlgary and Louis Vuitton. Let us look at the family tree of Bernard Arnault. Arnault was born into a family that owned and operated a successful construction business run by his father. His father Jean was a successful man with access to means and money. Arnault studied in Lille at Roubaix lycée and the Faidherbe lycée. Bernard Arnault graduated from Ecole Polytechnique in 1971 and soon joined his family business. Little is known about, or ever mentioned about the billionaire’s mother. BernardArnault married Anne Dewavrin in 1973, but the couple went their separate ways in 1990. They had two children. He later married Hélène Mercier in 1991 and has 3 sons with her. His first wife stood by his side as he took over new luxury brands, changed the scope, scenario and way people perceived the big brands and increased their value. Delphine works closely with her father and their luxury brands. She plans to take her father’s business and vision to new heights. She is one of the youngest and richest woman entrepreneurs leading the luxury brand to the new heights under her father’s guidance while using her own skills and abilities. 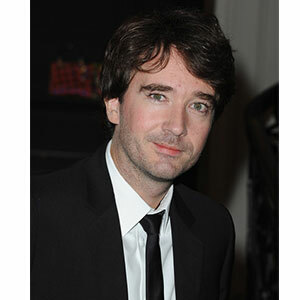 Antoine Arnault works as managing director of Berluti and president of Loro Piana today. Before he made his way to the top posts he worked in the advertising department of LV and worked on the core values campaign for the brand. He is not married but is in a relationship with Natalia Vodianova. Very little information is available about Bernard Arnault’s youngest two sons who seem to be getting ready to make their way into the company. While Delphine Arnault had her first child in 2012 and Antoine fathered a child with his girlfriend in May 2014, there appears to be very little information and details available for us to read and present. Today, Bernard Arnault’s net worth stands at $35.3 billion dollars, making him one of the richest man in Europe and the world.